Although the Nendoroid line-up from Black Rock Shooter is quite strong, it seems that the OVA didn’t please much fans back then when it was released last year. 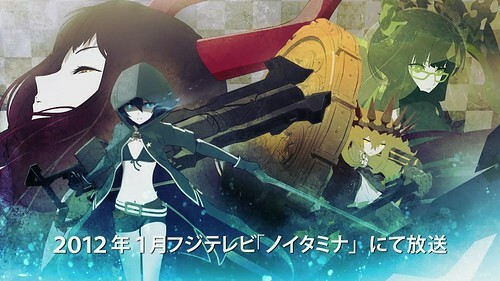 That might be what in the mind of BRS Project team when they decide to produce the TV animation version, which is planned for January 2012 broadcast. This entry was posted in News and tagged black gold saw, black rock shooter, dead master. Also, the Yellow/Brown character is called Dragon Slayer (http://blackrockshooter.wikia.com/wiki/Dragon_Slayer). I thought the BRS we’re based off the OVA ? I can keep an eye out for a DM for you ….do you hve a MFC account ? Maybe there is no strength in the picture because she will only show up very little. Again. we’ve already have the original BRS, then the BRS 2035 and Dragon Knight ver. / Dragon Slayer ver. (both in figma)…. now yet another BRS?